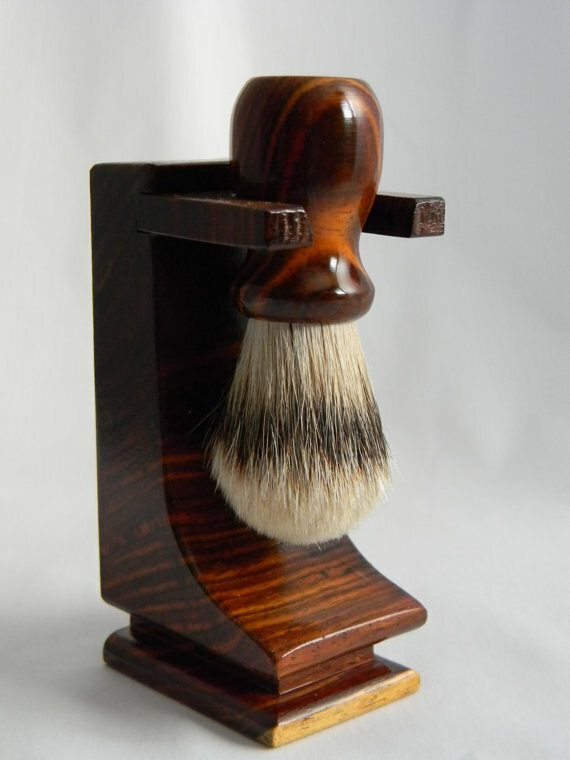 Handmade Shaving Brushes Home | About Us | Opportunities | Sponsorships | Contact Us! 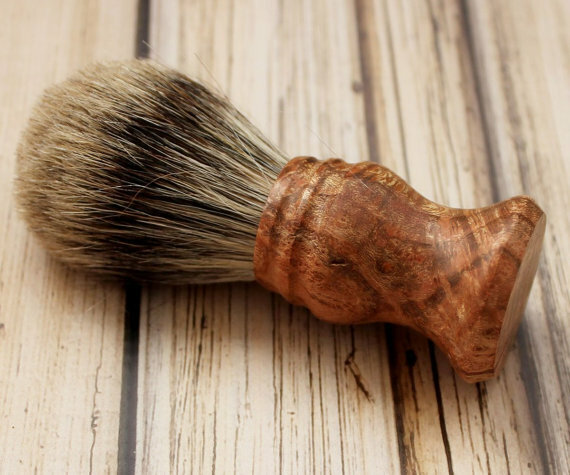 Whether you’re clean shaven down to the last bit of stubble or just cleaned up around a full beard, handmade shaving brushes can take your daily shave to a whole new level. Most guys are accustomed to filling up a palm with canned shaving cream and lathering up their faces, but there’s a better way! If you haven’t explored why shaving brushes have been the tried and true method for giving your skin the best with every shave, we invite you to get inspired with today’s themed collection! 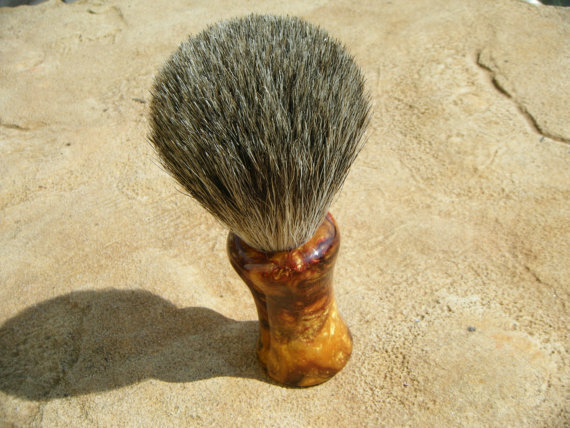 handmade shaving brushes are made from bristles that are tightly bunches to create a thick, tough brush. When you them to apply shaving soap, cream, or oil to your skin, they literally massage the product into your skin with thousands of tips while also stimulating and toning the skin in preparation for a close shave. 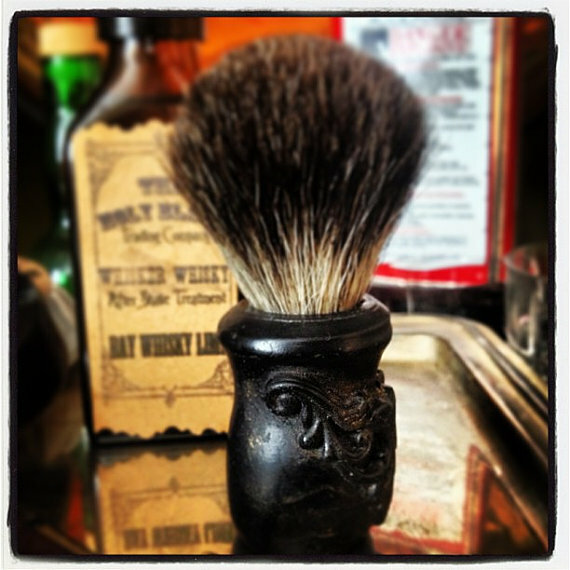 Shaving brushes have been used for centuries, and they got their start when hard bar soaps were the main shaving product available in barber shops and in stores. While many guys have gone back to using traditional style shaving soaps because they’re often more hydrating and more natural than their foam counterparts. If you’ve never experienced a shaving bar soap before, it’s definitely worth a try! To use your brush, simply wet the skin, lather the brush up by swirling it against shaving bar soap, then apply directly to your damp skin using gentle circular motions. Give yourself a bit of a massage with the brush to help work the soap into your skin for deep hydration while also preparing the skin’s surface for the shave. If you use foam or oils, apply them sparingly to your face them work in with the brush. Make sure to check with the artisan who created your handmade shaving brush to ensure that they’re compatible with products other than soap. Once you’re done, rinse your brush out and store it bristles-up to ensure a complete dry. 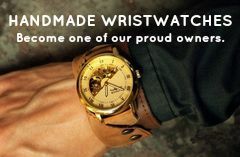 We’d like to give a big thanks to all of the amazing shops and artisans who let us feature their work this week. 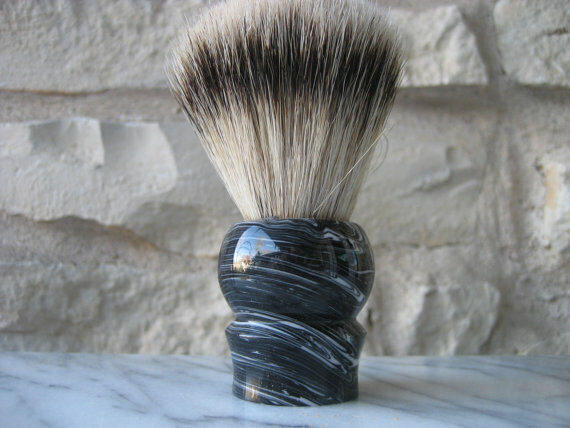 Take a moment to vote for the shaving brush you liked most in the below to show your support! Tagged shaving, Shaving Brushes, Theme. Bookmark the permalink.